Below you can find a PDF file with some good advices for a good ECU EDC16 tuning. The system looks similar to EDC16, a lot of maps are recognized automatically by WinOLS, but they are IQ to Nm related. Remap guide for Tuning VP37 and VP44 Rotary Diesel Pumps, Diesel Tuning Guide, Remap Diesel, Bosch Injection Tuning, Diesel, Tuning Parts, ECU TUNING, Chip. In this article you can READ a good tutorial about how timing on diesel cars works. Learn about advanced or retarded timing effects and how they affeect the running of an engine, fuel consumption and power. 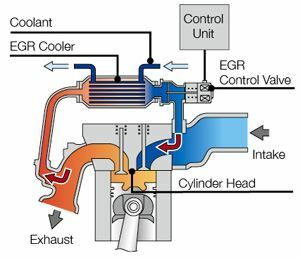 In the following tutorial you can learn how to find EGR in your EDC15 file and block it by software. Most of ECU’s will throw an error if you block it physically.